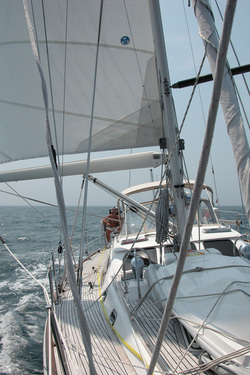 “What’s it REALLY like to sail the Caribbean islands?” We are frequently asked this question. For two seasons, we’ve sailed 29 islands in the Caribbean and we've written a book to relate our daily adventures. Whether you’re an armchair sailor, a lover of adventure in general or you are contemplating sailing down island yourself, we think you will enjoy sharing our many adventures and humorous incidents. And you'll love meeting the cast of characters we've met along the way that can only be found in the Caribbean.